Turn your ordinary message into an extraordinary story. 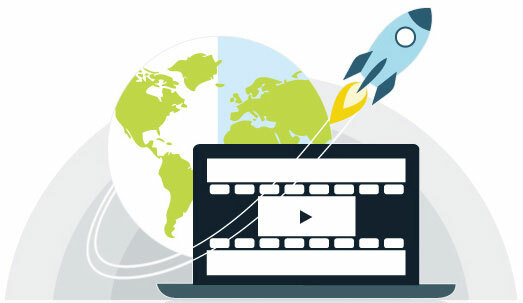 We leverage the use of multimedia tools and techniques to create interactive video messages, 2D-3D animations, motion graphics, and digital presentations to complement clients’ marketing and sales enablement initiatives. We offer our clients with professional media services that facilitate them to make an impactful statement about their business and promote their products and services across numerous platforms. The increasing acceptance and use of multimedia devices has changed the way we communicate with each other. We make use of the advanced multimedia technology to present powerful, effective, and elegant messages to your target audience. Be it product promotion, branding, or delivering learning programs, we create interactive marketing videos, 2D-3D animations, graphic designs, and all sort of promotional content to give your business a leading edge over competitors. Our media solutions are custom designed to fit into your budget and meet your desired objectives. We keep pace with the latest marketing and communication trends, and offer scalable media solutions to serve you the best.